Given that our backpacks were essentially going to be our homes for most of the year, choosing which ones we would get was quite a task. After hours and hours of trawling internet blogs and stores we managed to decide on a few requirements for our bags to help narrow down the search. Front loading backpacks (Not like the traditional hiking bags which are top-loaders. We wanted better access to all of our stuff but have the ability to carry the bags like backpacks). 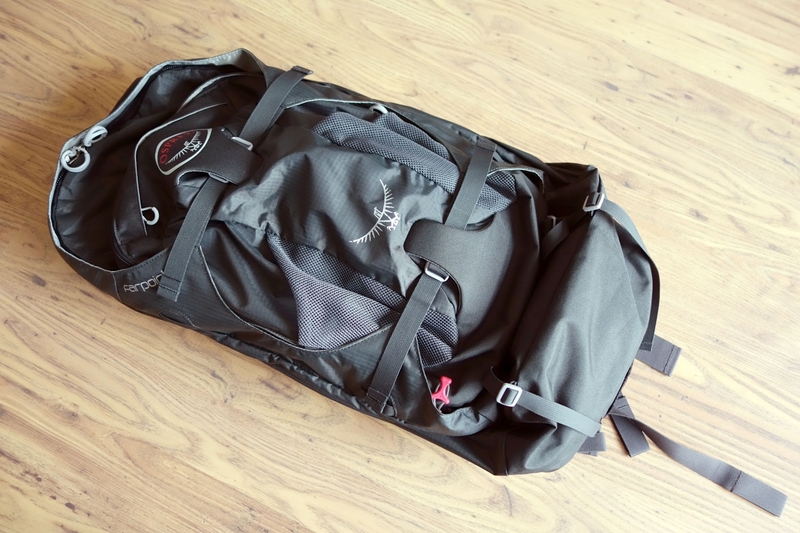 My main bag would be somewhere in the region of 40-55L and Alistair's main bag would be between 50-60L. 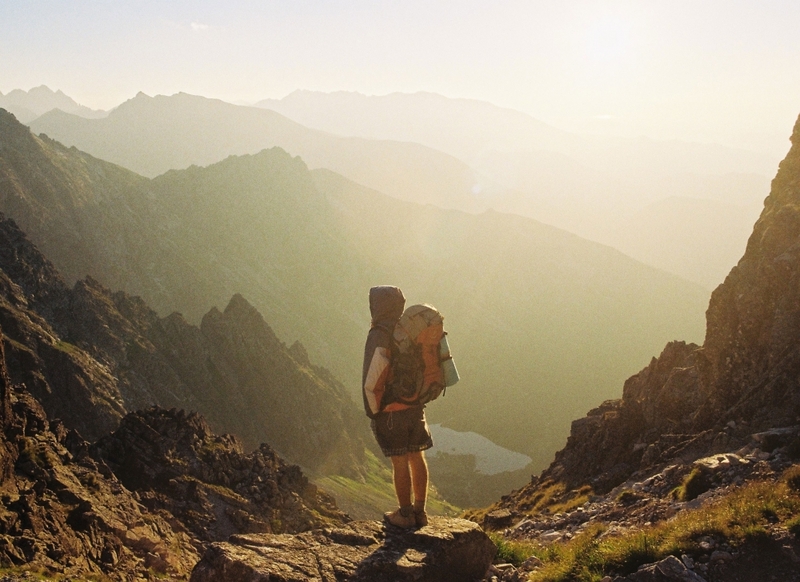 (Everything that we read told us to pack light and to buy as small a bag as possible). 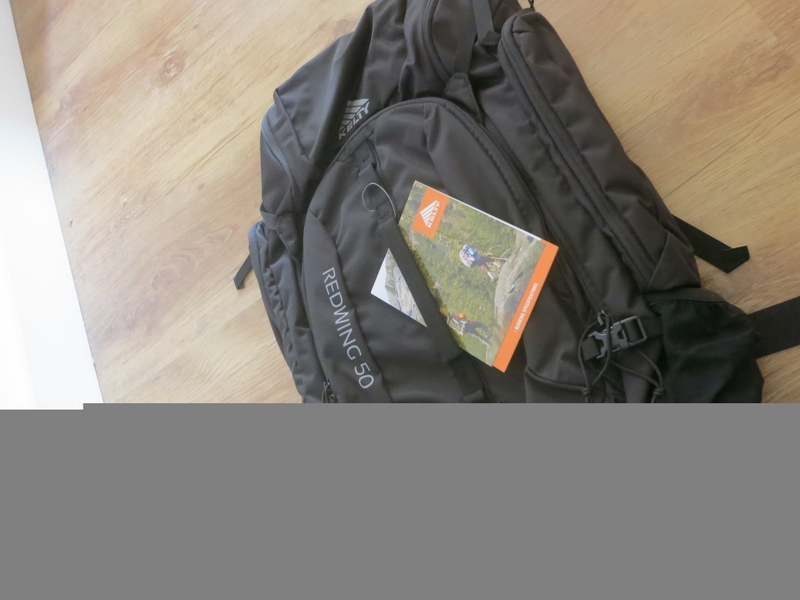 We also knew that we wanted to have daypacks as well and that Alistair needed to have the ability to carry his laptop safely in it. With the above conditions, I found several options which I thought may work as my backpack and so I decided to order them from Amazon to try them on and get a feel for them. This was the bag that I was most excited about. It was a good size, lots of the reviews online were very positive about it and it was a reasonable price at time when I ordered it (£68). 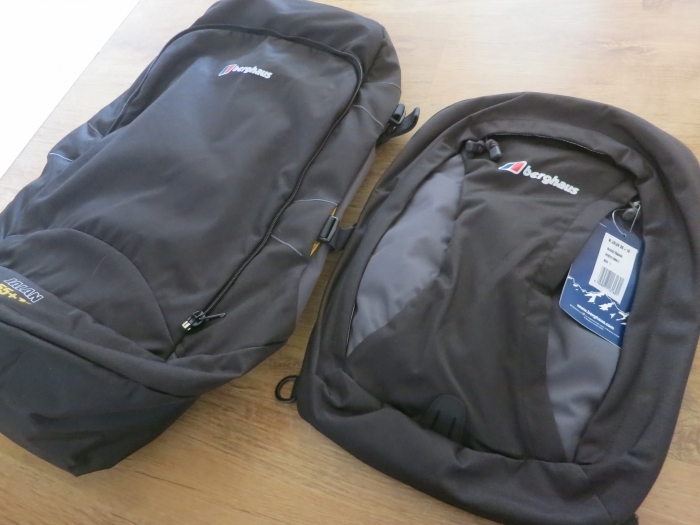 When it arrived however, I realised that I had received the newer version of the bag and this was shaped slightly differently from the older version which I had been researching. When the bag is unzipped, there is no fabric support at the top end of the bag and so the bottom portion only has 3 sides. 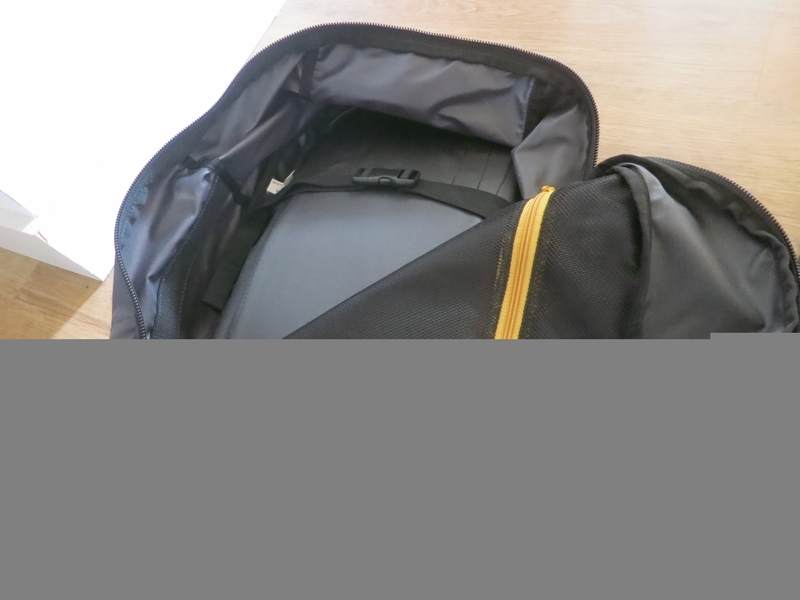 This means that the bag does not pack easily and packed items tend to fall out due to the lack of structure of the bag. Unfortunately I was unable to find the older version in any UK retailers but it was still available in some US stores. I ordered this one as I wanted to see what a smaller bag felt like. Unfortunately this bag had the same structural problems as the Redwing and so I decided to send it back as well. 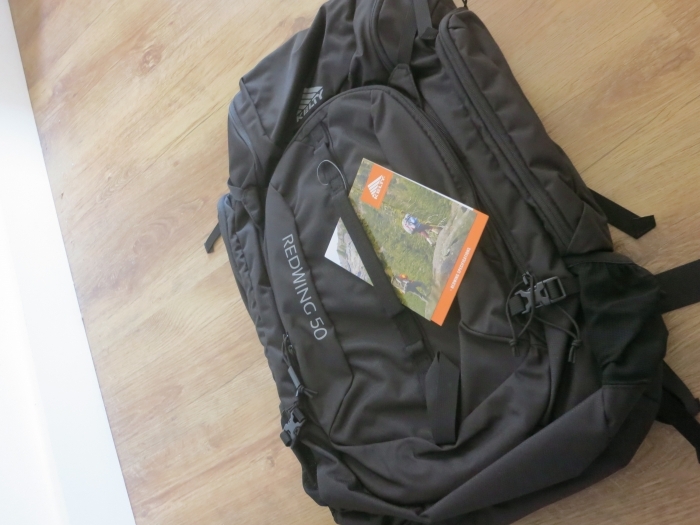 This bag was very reasonably priced and included a daypack which was useful! 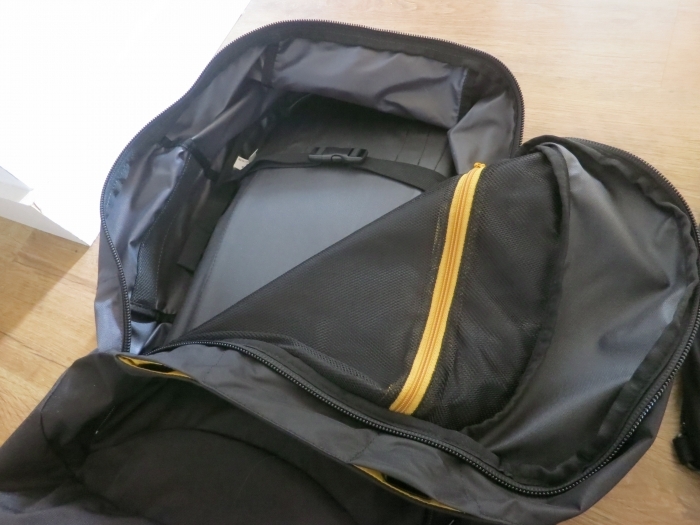 It had a lot of compartments and storage areas and seemed to pack well. 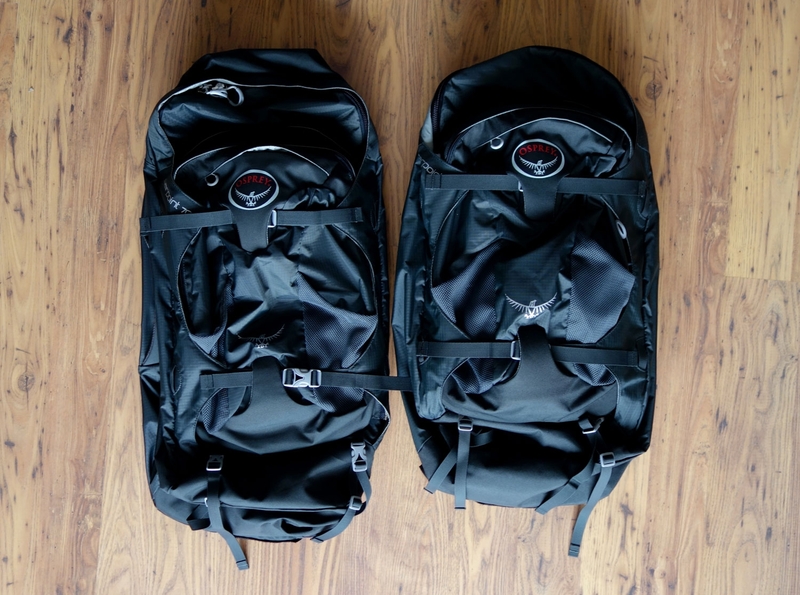 My only issue with it was that when I compared it to the two other smaller bags it looked and felt very large. 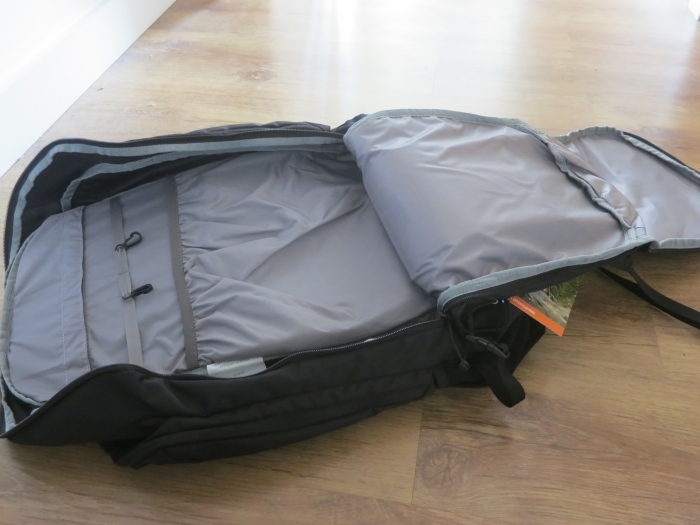 I realised that I needed to buy a main bag that was under 50L as this would be much more easy to manage for me. I returned these and after some more internet trawling, the bags that I kept seeing time and time again were the 'Osprey Farpoint' bags. They were robust, reliable, received excellent reviews and they had sizes which would suit both myself and Alistair. The one thing putting us off was the price. I happened to find a very good voucher online for Nomad Travel however which gave 20% off and so I decided to order the Farpoint 55 to see how I liked it. 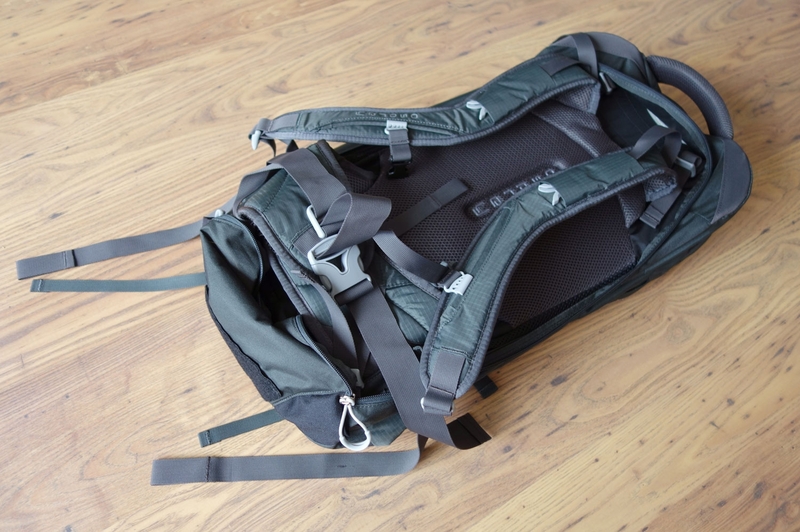 The straps on the main bag are adjustable for height and there is a waist strap for extra support. 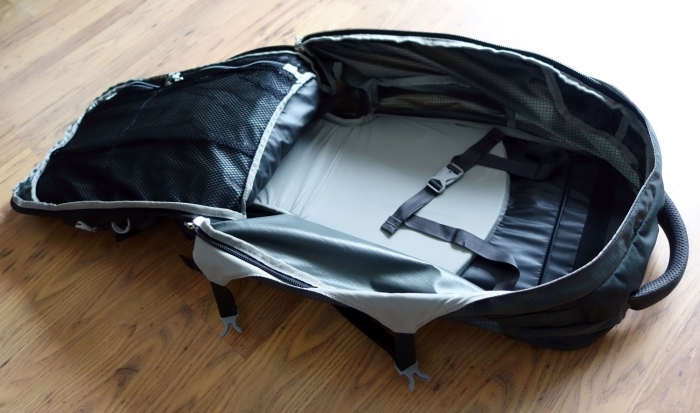 The straps can be stored away using a zipped cover. 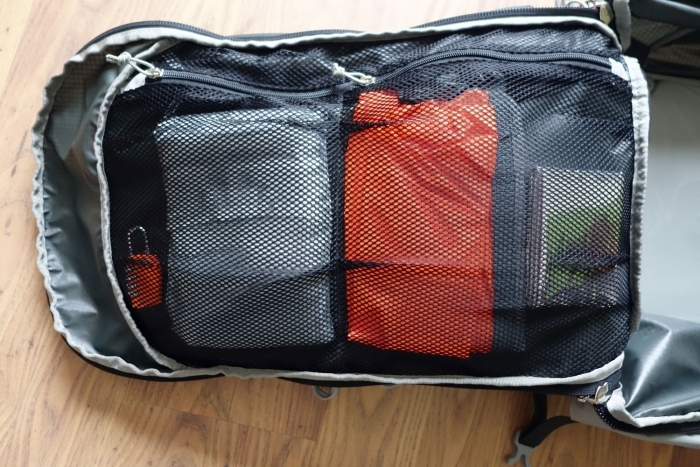 The main bag has one large compartment and has clips to secure luggage in place. 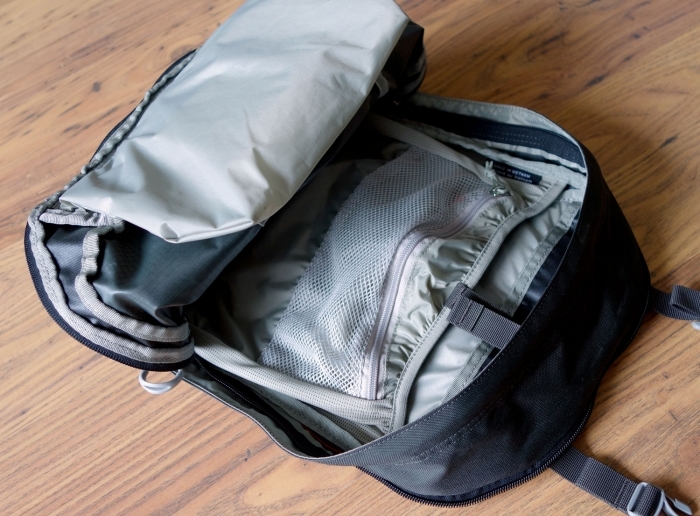 There are also two mesh compartments in the lid area. 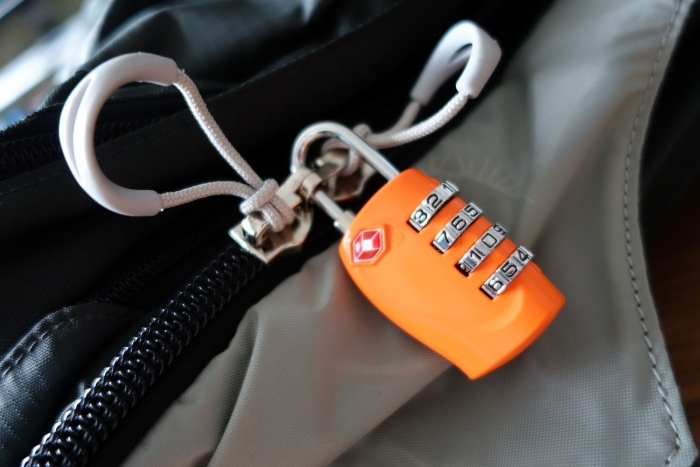 The zips on the main compartment close in a way which allows you to lock them with a padlock. The daypack also has one large compartment which has a laptop/netbook sleeve and a small mesh zipped area. 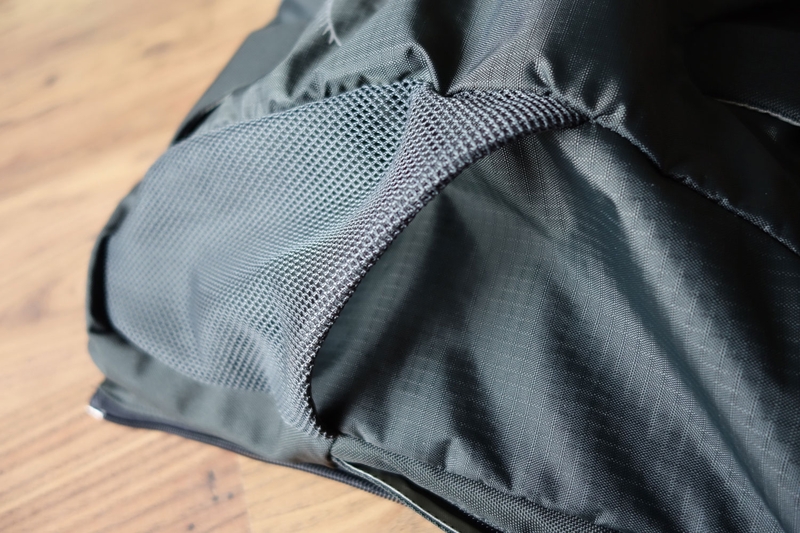 There are two mesh pockets on the outside of the bag as well as a secret zipped area. 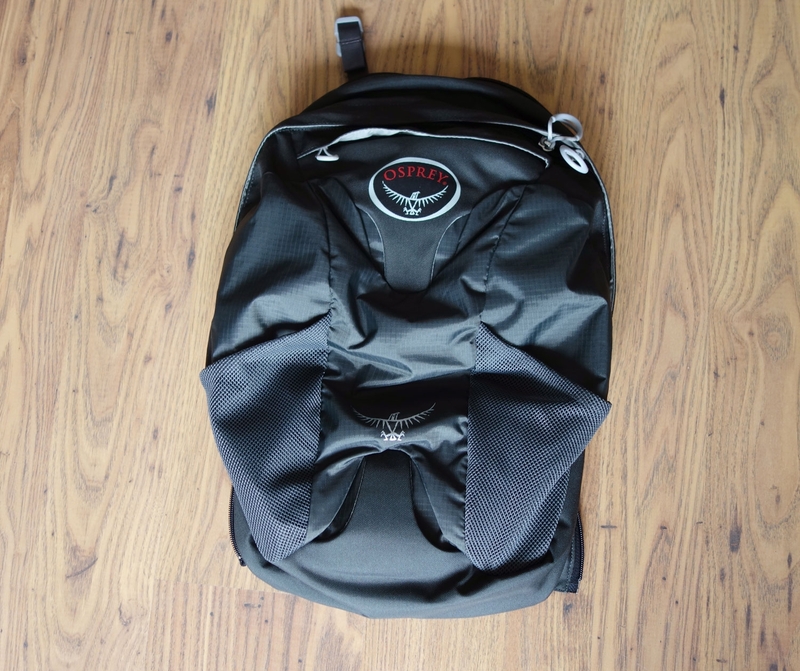 The straps can be stored away to allow it to be attached to the front of your main bag. 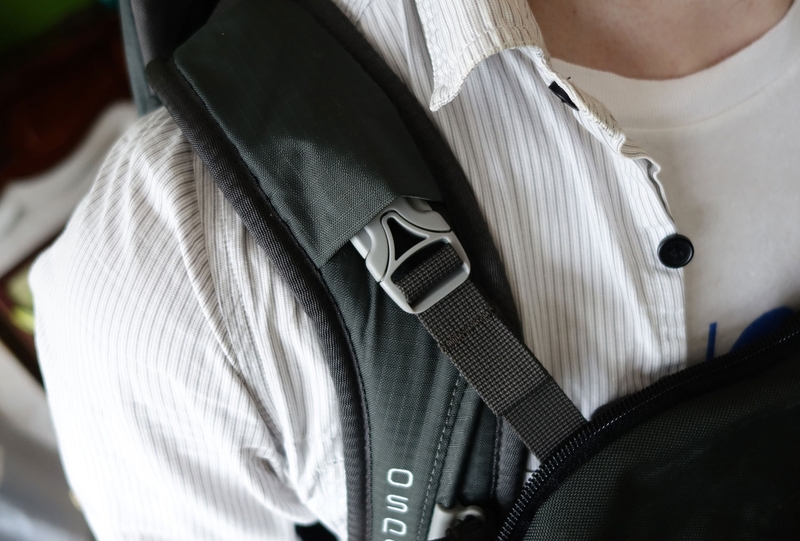 Another nifty feature is that there are two clips which allow you to wear the daypack on your front (turtle style) and attach it to the straps of your main bag without having to wear double sets of straps over your shoulders! It was love at first sight - the bag seemed to fit me perfectly and felt comfortable to wear, plus it ticked all the boxes of the original criteria we had set for ourselves! I decided that it would be the one for me. 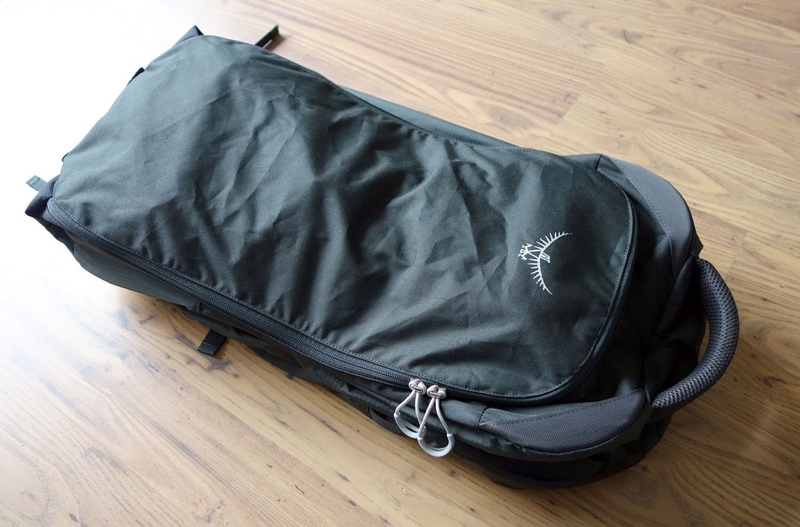 After seeing my bag, Alistair was a converted man and he decided to order the Osprey Farpoint 70! This is essentially the exact same bag except the main bag is 55L with a 15L daypack. 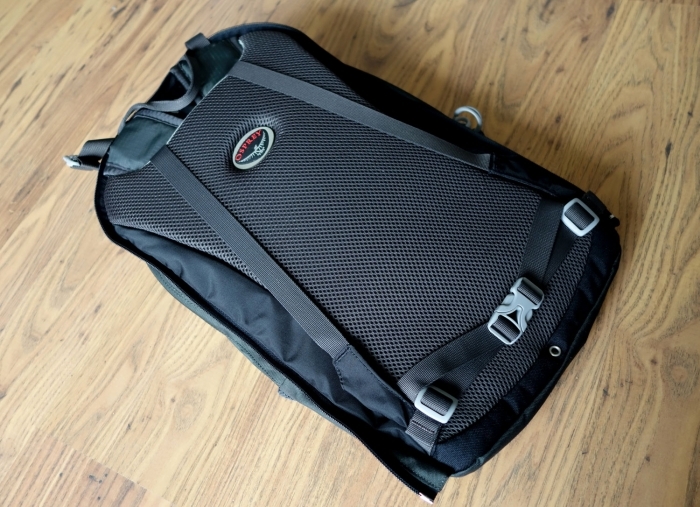 Unfortunately Alistair's laptop was quite snug in the 15L daypack and so he decided to hunt around for a separate messenger bag to carry his laptop and act as a daypack and he finally decided on the Osprey Flap Jack Courier Bag.